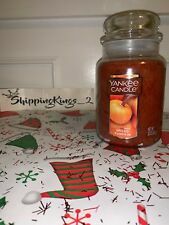 YANKEE CANDLE ~SPICED PUMPKIN~ 22oz. Romantic and attractive with fantastic look£¬Smokeless and safe. 1 x Candle. We want to make sure you are happy with our item. Goods without RMA number will NOT be accepted. We'd like to settle any problem in a friendly manner. Smokeless and safe. Material:Glass Jelly Wax. Romantic and attractive with fantastic look. 1 x Candle. We will reply you ASAP. You can set those candles up in the bathroom and at the table in your room, they will create enough light to set that romantic tone. It also suitable for making a proposal, anniversaries, restaurants and DIY projects, etc. Sale is for 1 pcs candle = 0.99 USD. White tealights. 100% Brand newThis item has been tested and works greatEach rechargeable tea light illuminates with the soft yellow flicker of a real tea candleNo flame No heat No smokeNo messgreat choice for mood lighting both indoors and outdoorsLooks like a real candlesafe around children and petsLifetime flickering LED bulbssoft light, romanticBut is safer to use, stays cool to the touch, and can be used anywhere you'd use a real tea candlePlace the 12 tea light candles on the charger tray to recharge the built-in Ni-Cad batteriesLight automatically starts to glow when you pick the tea light up off the tray, and it stays lit up to 12 hours on a full chargeYou can also use these tea light flameless candles to light up holiday decorations, jack-o'-lanterns, luminaries, and. 100% Organic beeswax candles. 100% Cotton wick. Quantity: 10pcs. Colour : As the pictures shown. Your kind understanding and patience will be highly appreciated. We will reply you ASAP. Due to the light and screen difference, the item's color may be slightly different from the pictures. Light Color: Warm White(flickering). Easy to use, twist ring clockwise to turn candle on and counter-clockwise to turn off. 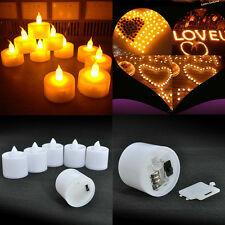 No hot and dirty wax to deal with, the electronic candles are safe and convenient to use. Bolsius Pillar Candle. Size: 148mm x 58mm. Colour: Dark Red. Bolsius Pillar Candle. Size: 198mm x 78mm. Colour: Red. The candle is simulated, and the candle light flickers like a natural light. 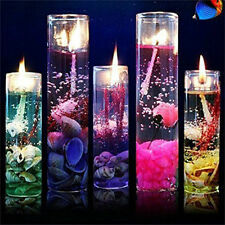 6 x LED Candles. With 2 AA batteries, it is durable and easy to replace the battery. Battery: 2 x AA (not included). Due to light and screen setting difference, the color of the item may be slightly different from pictures. Wild Cranberry scent. Always place in a Tea Light Candle Holder. Single lotus music candles. The candle kinds music candles. Our goal is. Trending at C $1.36eBay determines this price through a machine-learned model of the product's sale prices within the last 90 days.